You can complain that roses have thorns or you can rejoice that thorns have roses. We think this eye-catching vintage style rose and thorn ring set is something to be pleased about. 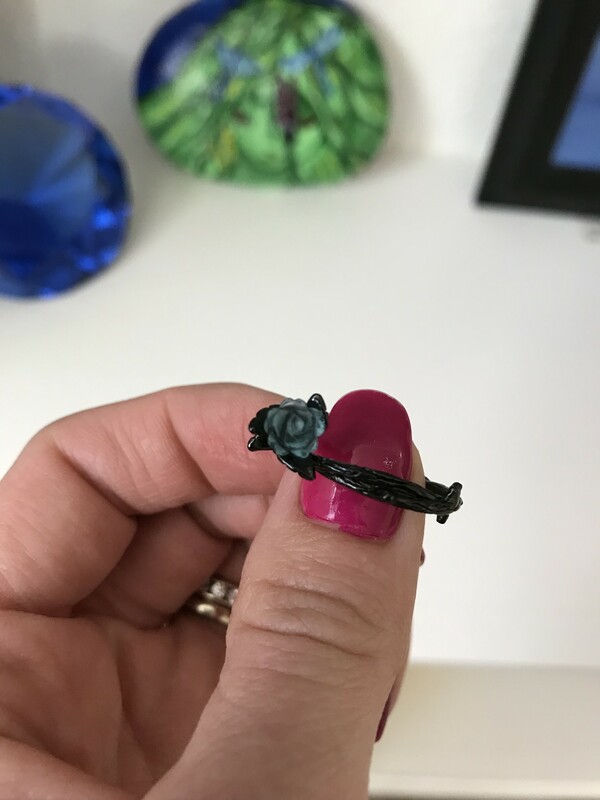 The rings showcase a sculpted blue rose and intertwined thorns – a great look for couples! 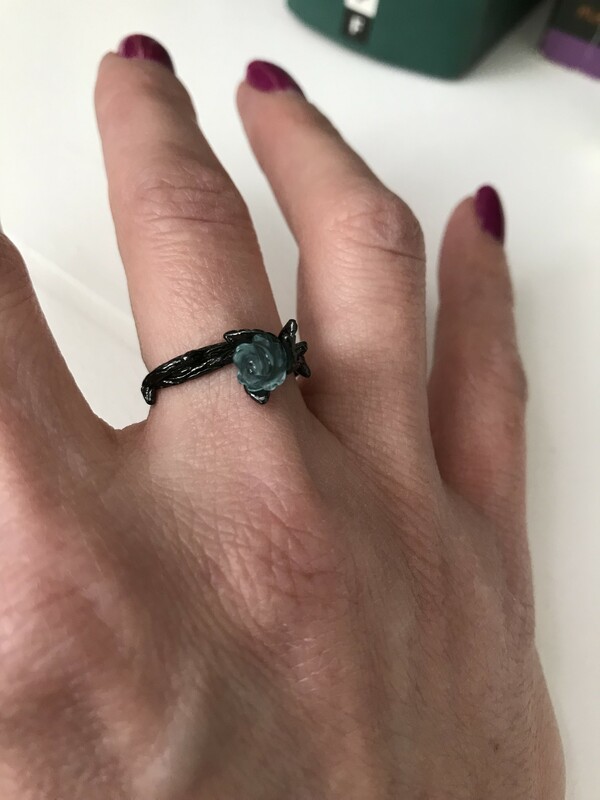 The ring is comfortable, the rose is such a pretty vivid color and adjusts nicely to fit your finger. I love the ring and it is very pretty. 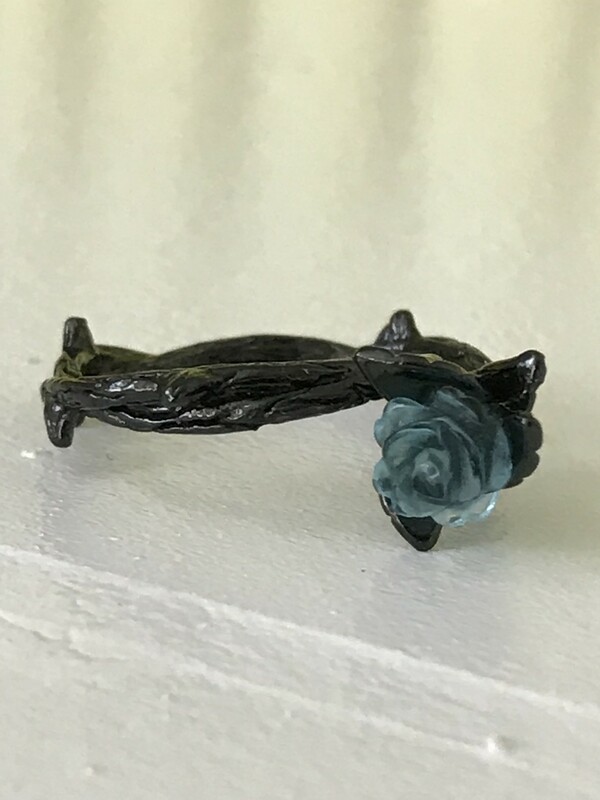 I wish I had earrings to match the blue rose. Absolutely adore these rings! Decent price. I wish there were more jewlrey like this available. So glad i found these!